Rare, those moments that change everything. My world changed completely one summer upon a visit to Whitehorse’s Yukon Gallery. Before me on the gallery wall were presented breathtakingly stunning sculptural forms, fantastic, curvaceous birds made beautiful in carved antler by Maureen Morris. The year was 1985. 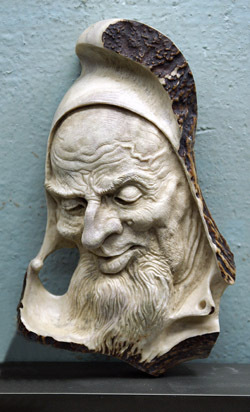 I have been hooked ever since on contemporary carved antler sculpture. Maureen Morris discovered her artistic calling early. In Grade One she wowed the teacher with a plastercine cow, modelled to six-year-old perfection; her teacher declared it best in the class. From then on, Maureen would “keep art in mind” as a career choice, making the decision to persue commercial (graphic) art after high school, “since that seemed the most common way to make a living as an artist at the time.” The Vancouver School of Art (better known today as Emily Carr University of Art and Design), accepted the aspiring artist and Maureen began her art education in earnest, absorbing everything with delight, in her element at last. The year was 1964. 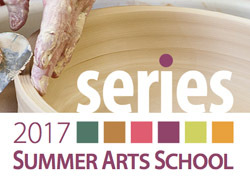 Maureen enjoyed the comradery of art school, “There was so much positive energy, and in the pub after school there was a lot of art conversation filled with wit and laughter.” Upon graduation in 1969, she recalls, “I didn’t know how I was going to make a living as an artist, but knew I was going to keep working at it.” Meantime, Maureen sold clothing at a local dress shop. In 1972, a company called New World Jade opened its doors, hoping to exploit ‘Polar Jade’, the wonderful nephrite resource discovered in 1969 on Ogden Mountain, near the British Columbia-Alberta border, in western Canada. They planned to train, then employ local artisans to create jade sculpture (northern–not arctic–bears and birds), based on the co-operative model pioneered a decade earlier by John Houston for Canada’s Inuit artisans. When a friend of a friend mentioned the start-up operation, Maureen applied immediately and was hired; she dropped the dress business and forever turned to carving. She was not alone. Several other prominent Canadian sculptors got their start at New World Jade, many still working in the medium today, among them Deborah Wilson and Alex Schick, also graduates of the Vancouver School of Art. It was in jade that Maureen began carving birds. Simply beautiful, curvaceous creatures, constrained by an 8″ carbide circumference. Deborah Wilson rememebers “Maureen’s wonderful flowing forms that worked so well with jade. She had a gift!” adding, “she was easily one of the most skilled and productive sculptors in the group.” The sculptors were paid $2.25 an hour. Maureen Morris in her jade and antler carving studio. Maureen brought jade carving tools with her to Atlin, along with something new, a Dremel grinder. New World Jade reopened for a time and agreed to carry her beautiful jade birds, which always sold. 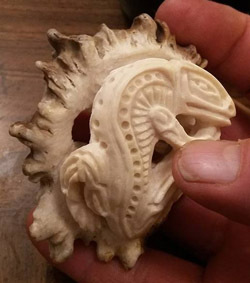 This lasted for a year, during which time Maureen began experimenting with antler, using jade carving techniques. Maureen became interested in antler as a medium after observing it carved on the grinding wheel at the artist-run jade carving co-op which sprang up after New World Jade closed. Maureen Morris working with the Foredom Flexible Shaft grinder. Though Maureen may have altered her methods for working in antler, she retained the design aesthetic developed in jade. 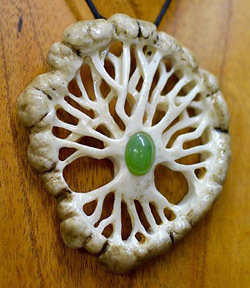 Maureen cut the antler to create works similarly scaled to her works in jade. She used antler as a medium for design, not as a form to be decorated. And in doing so, she transformed antler carving from craft into fine art. She relished the challenge of creating an entirely new body of work and so turned from her infinitely variable, imaginary bird and fish forms to try her hand at faces, creating imagined profiles of living chess pieces, complete with crowns, mitres and helmets. The concept was a smashing success and lead to a solo show in 2006 at the same gallery which Maureen dubbed the ‘Headwear, Helmets, Hats and Halos Show’. It was followed a year later in 2007, with profiles inspired by Tarot card imagery for the Studio Gallery’s next major public offering, aptly named ‘The Tarot Show’. Maureen: “After looking at the antler, I’ll sketch out the rough outline of the carving, careful to take advantage of interesting shapes in the antler. Then I’ll cut out the rough shape on the band saw, which leaves straight lines, facets and edges, which are then smoothed off on the drum sander. “I have 3 Foredom Flexible Shaft grinders, one is the heavy duty 1/2HP H Series model and the other two are 1/4HP S Series models. I use the Foredoms to further rough out the shape of the carving. “Next I’ll use small 6” files to clean up some of the lines. When I want a really sharp line of a feather or bird’s beak that I can’t necessarily get clean enough with the NSK, a file will do the job. 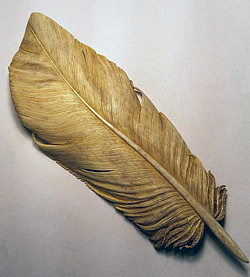 “To create an even surface texture, where I haven’t created a deliberate texture or left the antler in its natural skin, I’ll go over the carving with 100 grit sandpaper. This removes tool marks and scratches. “My final step is to brush the surface with a short natural bristle. I use either a tooth brush or the brush on the reverse side of a file card. The brush is perfect for removing all of the little antler bits that are left in the cracks as it buffs the antler and gives it a bit of a gleam, just a bit. 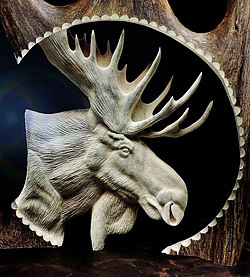 It has been 40 years since Maureen began her carving career, 2 years working jade followed by 38 years carving antler. In that time she has perfected her art creating thousands of antler carvings. 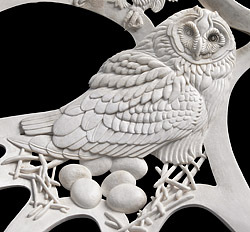 Carvings that have brought joy, pleasure, and delight to collectors world-wide. Maureen Morris in her garden.